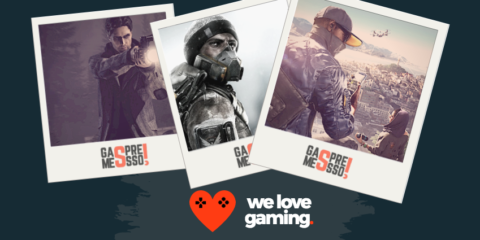 We here at Gamespresso take pride in timely pieces and totally objective opinions! It’s for this reason we’ve decided to come together and collectively express our favourite games shown at E3. Various members of our staff – including myself – have already gone through and recapped each conference/showcase at E3. 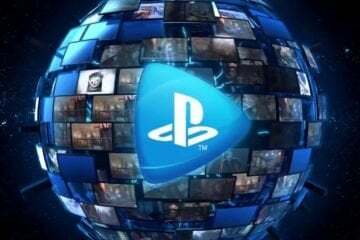 You can check out the recap for Sony, Nintendo, Microsoft, Bethesda and Electronic Arts. A rule of E3 in the last few years has been, if it’s rumored/leaked before E3, it’ll probably be shown. That didn’t stop the reveal for God of War during Sony’s conference blow people’s collective lids as ‘Dad of War’ appeared on screen. This God of War (not to be confused with the first God of War on PlayStation 2) serves as a ‘soft reboot’ that takes the series in a different direction by placing Kratos in the Norse pantheon and now mentoring a young son. The eighth installment in the series takes place 3 years after the events of God of War III, which means that the fact Kratos killed all of the Greek gods will still be canon. The trailer shows off some very interesting features including the support attacks he makes with his son and the magical axe that he now wields. It’ll be interesting to play as a fatherly Kratos. Despite his seemingly more docile role, it’s still good to see he has that battle hunger inside of him as he brutally takes down the trolls and dragons featured in the demo. Even if it is a little bit strange, it’s finally nice to see Kratos become more defined in terms of personality and character development. The Tom Clancy series of games will never stop existing. With Tom Clancy’s Rainbow Six Siege and Tom Clancy’s The Division getting equally positive reception over the past year, the Ghost Recon series wants to come back into play with the announced Wildlands. Wildlands returns to its grass roots, as all the future tech from Advanced Warfighter and Future Soldiers is stripped away and the setting returns to place similar to the original Tom Clancy’s Ghost Recon. 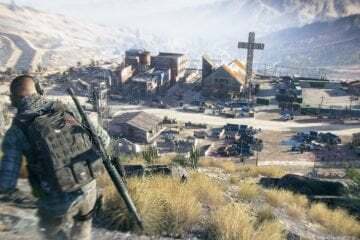 Despite returning to its more classic roots, Wildlands changes conventions by making it the first Ghost Recon title to feature a massive open world for players to expand – apparently bigger than any of Ubisoft’s previously created maps. This is quite a pedigree when you compare the game to the likes of Far Cry Primal and The Division. Not only will the map be expansive, but the way to secure objectives around the map will be completely up to the players – either stealthily or via a breaching assault. A nice mix up from the last few titles will hopefully bring in a fresh breath of air to the series. Three legendary warriors in history are thrown together in a what if scenario, in order to duke it out and fight for some reasons yet to be explained. For Honor was one of the games that was shown last year that showed a lot of promise. The theatrical trailer above doesn’t really answer the motivation and reason that the Japanese Samurai, Nordic Vikings, and European Knight would be fighting against one another to begin with. It does however tease why they still fight according to the instigator ‘Apollyon’. The game has evolved quite a bit since its debut at E3 2015. The graphics have been upscaled and the combat has been refined. 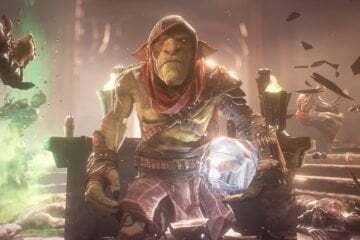 The trailer also implies that a deep story hides underneath this hack and slash title, something that extends past its earlier incarnation last year. With that said, the great visuals and the interesting combat mechanics is something to watch out for in the coming days when it gets closer for launch! We Happy Few came a long way from its original alpha last year. 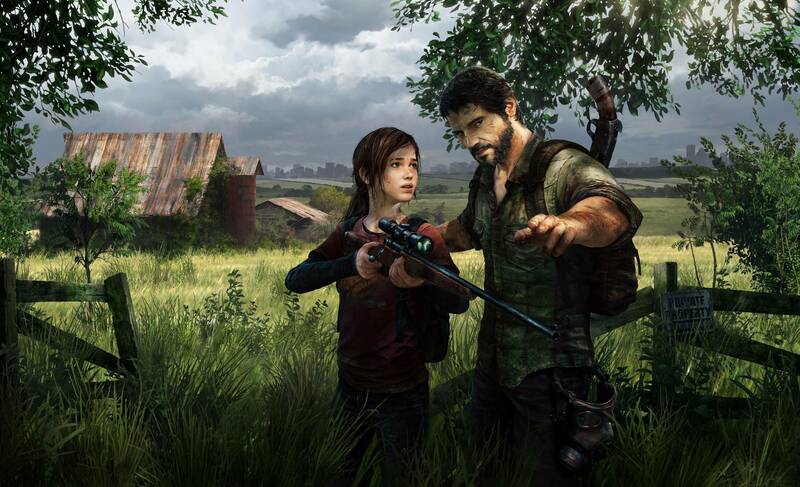 At this year’s E3, the team showed off a longer demonstration of the game to show its evolution. Particularly the new textures in the environment to really show the disheveled mess that the world is in. 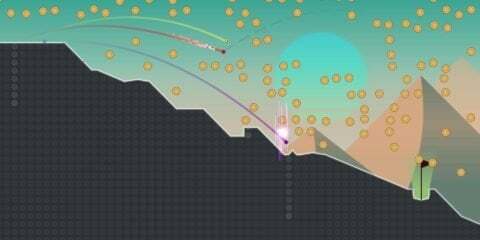 Not only that, but the world’s been fleshed out more – past the ‘run-of-the-mill’ survival sandbox games that have flooded the market as of late, particularly with the introduction of a main character who has some bearing on the world and the story. What’s gripping about We Happy Few for many was most assuredly the fascinating premise that created this dystopian and bleak world. The notion that the world is rife with travesty and horror and that for the town of Wellington Wells (at least), the solution is to take ‘Joy’ pills in order to stay ignorant and numb to the horrible reality of the world. The game has some very interesting themes and has an aesthetically pleasing art style that is sure to make it an enjoyable experience when it eventually comes out. The one game that has definitely wormed its way into the hearts of many and our ‘Best of E3 2016’ has to go to The Legend of Zelda: Breath of the Wild. After countless delays and a severe lack of information regarding the game, Nintendo swamped the Treehouse Live stream with a whole day showcasing the game. The stream was over 7 hours long and showed various features in Breath of the Wild. The most fascinating thing about Breath of the Wilds was that the game was breaking so many conventions. This includes the incredible expansive world, the fact Link can manually jump and sprint around, that there’s no order of progression and that the game is completely open world in all sense of the phrase. 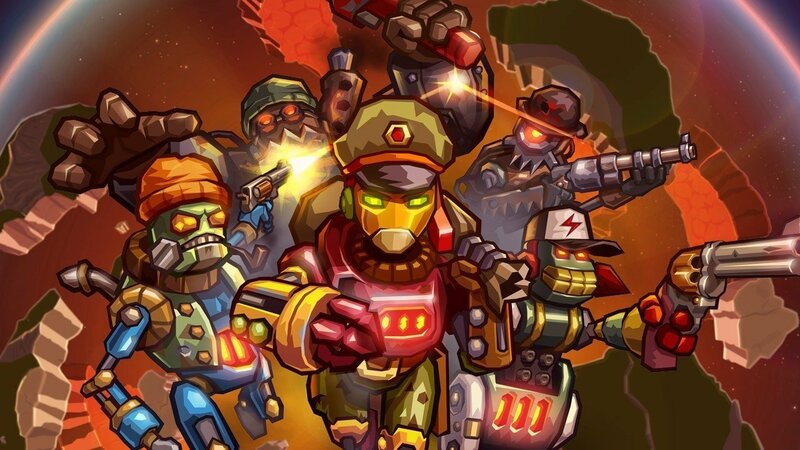 The information overload was insane, but as each passing hour went by, the game still looked like a blast to play – even despite the version of the game being locked to the first area for E3. What really boggles the mind is that despite all that information, we know next to nothing about the game. We don’t know for certain who the mysterious female voice is at the beginning of the game (money is on Zelda), who the main antagonist is (though it may have been slipped by accident to be Ganon) and where exactly this game takes place in terms of the official Zelda timeline. 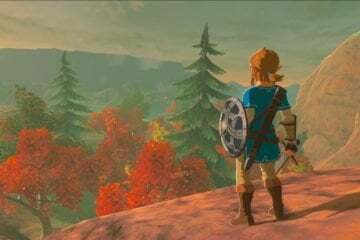 Despite all of that and all the changes, the game looks and feels very much like a Legend of Zelda game. Resident Evil 7 – Capcom’s decision to return to a more horror driven narrative for the franchise led to excitement and fears for fans of what the true experience should be. 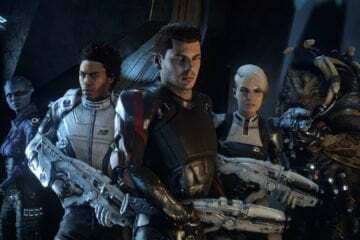 That said, with players given the chance to play the demo the day it was announced has given some positive vibes on what’s to come for the game. 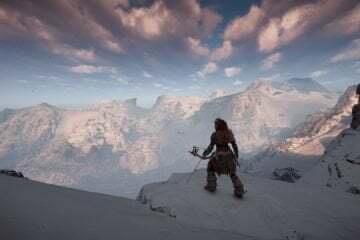 Horizon Zero Dawn – Another game shown at E3 last year, but this time the game had more to show with new game mechanics such as hacking beasts to make them allies and various hunting techniques. Not to mention seeing more of that gorgeous world that fuses the ‘primitive’ world and cybertronics. Sea of Thieves – This is one of those games that may well be a blast to play, but in its current incarnation, the fun is had when you play with friends. Everything from scouting out enemy ships, naval battles and sailing the high seas. There’s some fun to be had and that’s why the appeal is there. Tyranny – From the makers of Pillars of Eternity comes the next computer role-playing game. Taking place in a world where evil has won and you play as the villains creates an interesting scenario for players to make justifiable morally bankrupt decisions. And these are merely from the tip of the iceberg for many of us here at Gamespresso. There are a plethora of fantastic games shown at E3, some of which we loved and never got to mention on this list. Despite that, E3 has helped outlined a nice timeline of exciting new games to look forward to in the coming year. Huzzah to video gaming!